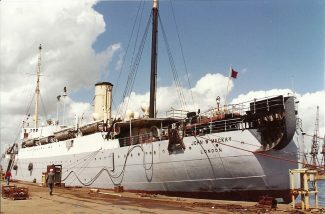 The cable layer JOHN W MACKAY in Tilbury with the HMS PRESIDENT? (can anyone confirm). 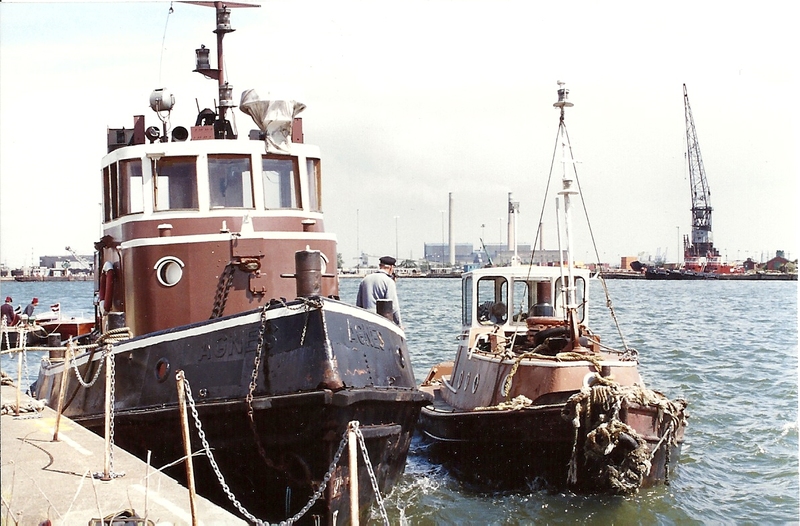 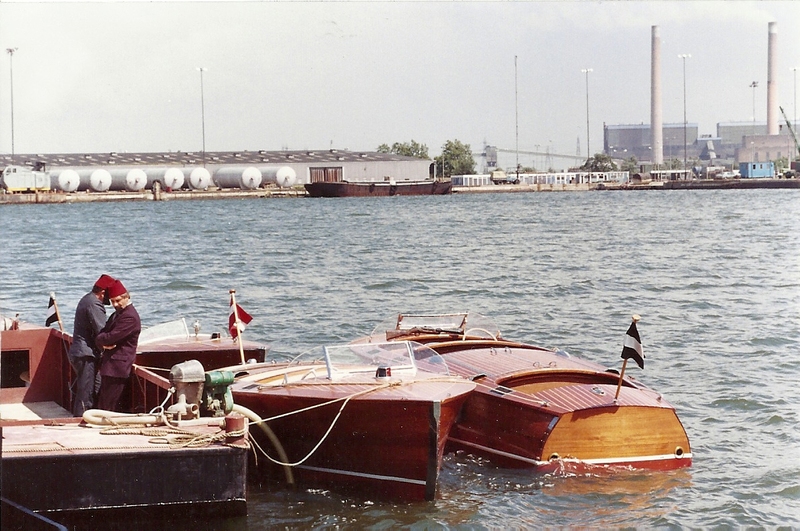 The film Indiana Jones and the Last Crusade was partly filmed with these two vessels. 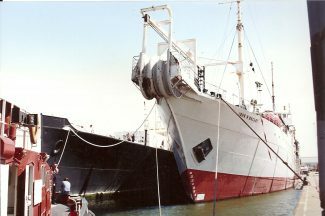 You may remember Jones fighting on a small boat between the ships and the propeller thrashing in the water and breaks up the boat. 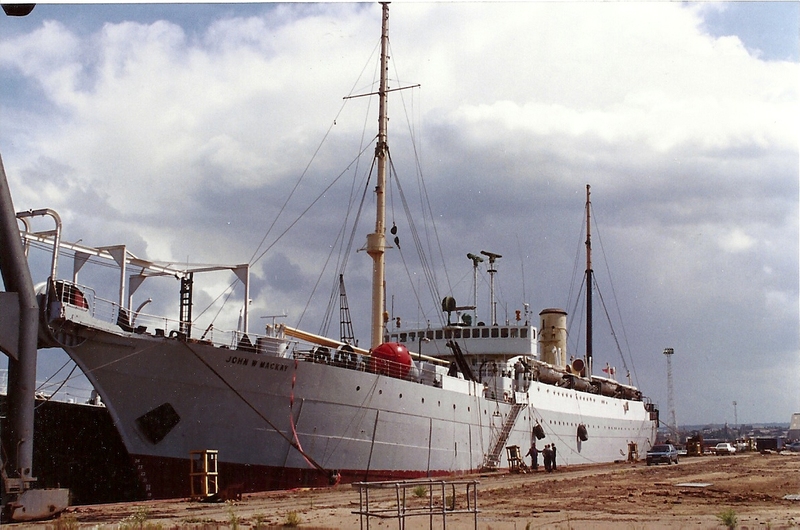 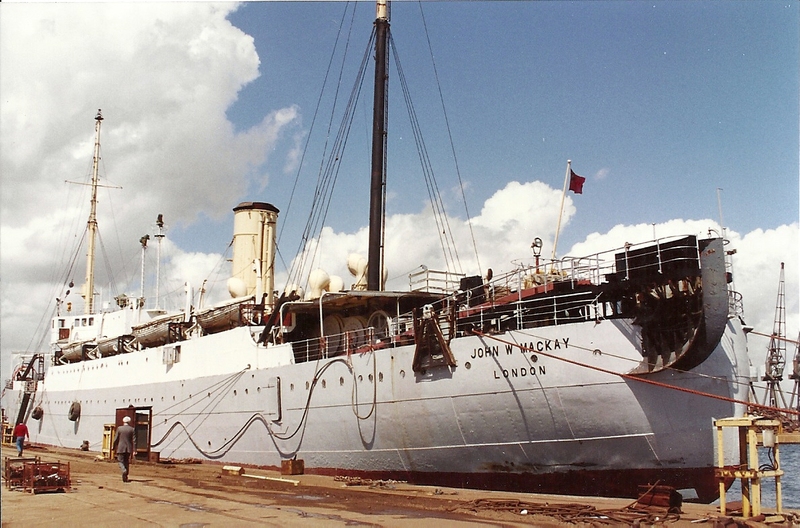 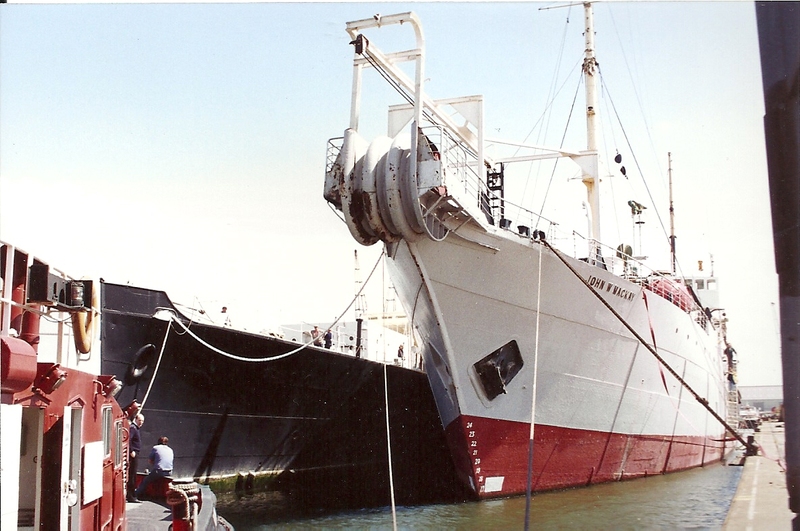 The cable ship was to be preserved in London but she was scrapped in 1994 in Turkey.